The child is capable of developing and giving us tangible proof of the possibility of a better humanity. He has shown us the true process of construction of the human being. ... The child is both a hope and a promise for mankind. Education and Peace, p. 35. Around the world, November 11 is recognized as a day to honor the men and women who have served and continue to serve during times of war, conflict, and peace. 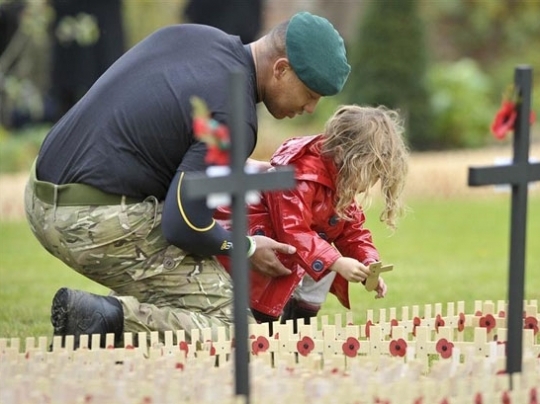 In Canada and many other countries, November 11 is called Remembrance Day. In the United States it is Veterans Day. As Montessori teachers, we show respect on this special day by bringing information to the students and drawing connections to our classrooms and to their lives.